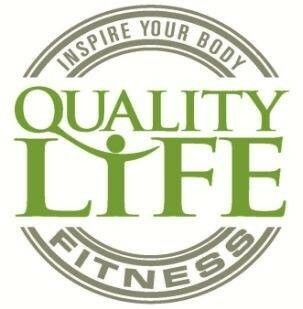 Start taking classes at Quality Life Fitness and other studios! Sweat, stretch and strengthen—all in one workout! Using only your bodyweight, you’ll perform a series of low-impact, high-intensity Pilates- and yoga-inspired moves to work every single muscle in your body. The result? A long, lean and incredibly defined physique. Ready to make your power move? There are no upcoming “BeachBody LIVE PiYo” classes on this day. They offer first floor out-front parking as well as garage parking with easy stair/elevator access. They are on the Cul-de-sac at the end of Post Oak Place Drive, around the corner from the Junior League. They have a small coffee/tea bar. Their policy is that "Cleanliness is next to Gymliness!" and they appreciate all member's cooperation. Instructor did a good job explaining the moves in the class. Good workout for the glutes! Stephanie was very upbeat and clear in communicating all of the different exercises! Really enjoyed the class! The Instructor was great, explained the sequences before jumping in which helped me stay with the class as a newcomer. The gym is beautiful and the staff is very friendly. Plenty of parking. I will definitely be back for this class and others. Great lower body workout for toning! Stephanie is really nice and helpful. Brittany was awesome!!! Gave me great direction and great workout.